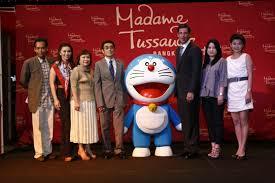 Madame Tussauds, the world’s famous lifelike wax museum was open in a luxury shopping mall in Bangkok. With 10 interesting themed zones and more than 90 wax figures, the place simply shouldn’t be missed. What make this museum so special and unique is that visitorscan actually have an interactive experience with their favourite personages. So come and learn about some notable and influential people in our world in the history zone and leader zone or see the world’s famous artists and scientists at a closer look in the art & science zone. In the red carpet, music, TV, film and sports zones, there are a bunch of celebs you would want to meet. Here’s your chance to brush shoulders with your favourite Hollywood stars, local celebrities, sports heroes and heroines, even heads of state. Madame Tussauds has opened its 10th attraction in Bangkok, with a revolutionary concept – the wax museum with exhibits you can touch, hug, play with and even kiss. Pose with the U.S. President and the First Lady in the Oval Office, play basketball with the NBA star Yao Ming, or give Leonardo Di Caprio an air-kiss (or real kiss). Waltz down thered carpet and join the party of the Hollywood A-List, including George Clooney, Brad Pitt, Julia Roberts and Angelina Jolie, to name just a few. 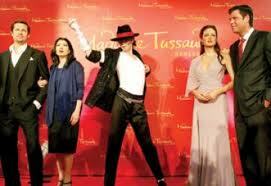 A day out at Madame Tussauds wax museum is unlike another other you have experienced before.